A variety of difficulty modes makes this the perfect opportunity to experience Mega Man for the first time! Mega Man 11 also features a variety of extra modes including time trials, missions, global leaderboards, a gallery of concept art, and more! The newest entry in this iconic series blends classic, challenging 2D platforming action with a fresh look. The stunning new visual style refreshes the series' iconic colorfulness, combining hand-drawn environments with detailed, 3D characters. All Robots Defeated - Now Wily! Mega Man 11 might be a perfect game on the Switch. It's a fun platformer with a ton of charm and quite challenging in all the right ways. When I first started out with Mega Man 11 the style took some getting used to as I am most familiar with Mega Man 2. The biggest difference is Mega Man 11 isn't meant to be played start to finish in one sitting, it's a game that leans into longer boss stages and modern consoles ability to save your progress. Plus you start out quite underpowered and can gain screw currency to unlock abilities and items to make the boss stages much easier. Starting out, Mega Man 11 was so difficult I spent some time grinding to collect screws to... Read All Mega Man 11 might be a perfect game on the Switch. It's a fun platformer with a ton of charm and quite challenging in all the right ways. When I first started out with Mega Man 11 the style took some getting used to as I am most familiar with Mega Man 2. The biggest difference is Mega Man 11 isn't meant to be played start to finish in one sitting, it's a game that leans into longer boss stages and modern consoles ability to save your progress. Plus you start out quite underpowered and can gain screw currency to unlock abilities and items to make the boss stages much easier. Starting out, Mega Man 11 was so difficult I spent some time grinding to collect screws to unlock everything I could. The most notable thing this did was make the boss stages much easier and as such I completed them all last week. Each stage is quite unique and just like the bosses you fight, the robot powers you acquire are really unlike anything I've played in a Mega Man game yet. One of my favorite boss items is the Acid Shield you get from killing Acid Man. The Acid Shield surrounds you for a time and absorbs bullets and some enemy damage. If you do a power move each bullet that is absorbed into the shield is reflected as an acid attack which makes this item a must have for level segments where you have to jump on small ledges while avoiding enemy fire. I was getting into a good rhythm with the Mega Man 11 boss fights and stages and thought that would translate right into the Wily stages. Good news is much of what you learned does translate but the first stage is SO MUCH harder than any before it. If you do make it to the end of the first Wily stage the Yellow Devil MK-III awaits which is a revision of the Yellow Devil fight from the original Mega Man. Not sure if this is harder than the original game but I haven't been able to kill it yet. Mega Man 11 is the right amount of Capcom/Mega Man hard while also remaining fair. I'm not sure I could do well in the game without buying all the power-ups but then again, it's a fun way to play it and if I want more challenge I can do it again with stock Mega Man. I've always been an armchair fan of the Mega Man games but never played any of them regularly until I got an NES Classic. I latched on to Mega Man 2 and haven't let go since (expect an upcoming Cheerful Ghost Radio NES Review episode in the new year). As such, it was fairly natural that I took note of Mega Man 11 and then found it totally awesome that Travis got it for me this year as a gift on the Switch! I wanted to write down some of my early thoughts on the game and will check in regularly as I make progress with it. Beyond the 3D graphics at first blush Mega Man 11 looks and plays like the classic games we love. It's hard because... Read All I've always been an armchair fan of the Mega Man games but never played any of them regularly until I got an NES Classic. I latched on to Mega Man 2 and haven't let go since (expect an upcoming Cheerful Ghost Radio NES Review episode in the new year). As such, it was fairly natural that I took note of Mega Man 11 and then found it totally awesome that Travis got it for me this year as a gift on the Switch! I wanted to write down some of my early thoughts on the game and will check in regularly as I make progress with it. Beyond the 3D graphics at first blush Mega Man 11 looks and plays like the classic games we love. It's hard because the game feels just like the classics but under the covers are a slew of new mechanics. In fact, these new mechanics I found annoying at first but after clocking about 3 hours into the game are finally working for me. The new stages are much longer than any Mega Man stages I've played so far which is to say, they are much longer than the stages in Mega Man 2. At first this seemed odd to me, how can you have a Mega Man game with super long stages and get through it and then I realized that Mega Man 11 is aimed a much more modern audience. The stages in NES Mega Man were short due to cart limitations and password saves states and replay-ability. Mega Man 11 sticks It's flag firmly in the save state world and expects you to complete a stage one time and move on. Gone are the days where the game expects you to turn it on and replay each robot boss battle on your way to beating Dr Wily. Mega Man 11 expects your gonna pick a difficulty and play each stage until you complete it until the end of the game. This focus on stage length, difficulty and your game progress is all tied together through a new mechanic i'd not seen in a Mega Man game focusing on an in game currency, screws. Fear not, this isn't tied to any micro-transactions and screws are something you can collect easily in each stage by finding them or killing enemies. Collect enough screws and you can visit Dr Light and buy a ton of items such as E-Tanks and Mega Man enhancements like the ability to get a wider buster shot, lessen your push back when you take damage and increase the amount of energy that drops from enemies. These power ups unlock at certain points in the game and each one is a different amount of screws to unlock. Say you are having a particularly hard time in the Block Man stage? Collect enough screws to max out on E-Tanks and other items to make the stage easier. The screw currency gives the game focus in that you can unlock abilities and power ups making subsequent playthroughs easier. If you want the game to be more difficult you can avoid all this entirely but I'm working my way through it the first time and it's nice to get a bit of help. After about three hours I finally defeated Block Man. The Block Man stage is quite punishing and once you complete a section it tosses it back to you in a harder form until you master each section to finally confront Block Man. Turns out Block Man isn't too hard, or isn't if you use the Super Guard power-up and some E-Tanks (which I recommend) and as such is one of the best stages and bosses to take on first. According to some searching, Acid Man goes down smooth with the Block drop weapon so I'm now working on that stage. Another part of Mega Man 11 worth a series of accolades is the level design. So far the Block Man and Acid Man stages are quite different and contain very clever puzzles that are hard but fair. I've taken a peek at a few other stages such as Bounce Man which feels like a level designed by people that love crazy bouncy castles. So far Mega Man 11 takes the best elements of the series and solidly moves the game forward for a new audience. If you like Mega Man games and don't mind coming back to the same levels and slowly getting better a bit at a time, Mega Man 11 is for you. You can download a demo of the Block Man stage on PC, Switch, PS4 and XBone to give it a shot if you're not entirely sure if this is something you might be into. I've heard Mega Man 11 looks better on the PS4 and XBox One and all I can say is the game looks great on the Switch. It's a bit jaggy in handheld mode but once it pops to the TV it looks fantastic. I played the demo on PC and I know what you mean about those new mechanics but they do click eventually. I'm just glad we can cycle different weapons without going into a pause menu. I'm looking forward to trying this one out! That's cool. I had a Mega Man game on the Gameboy. I also have a NES Classic, but haven't really played any of the Mega Man games on it. I do the have Mega Man Collection #1 on Steam though. I have the 2nd one and Mega Man 11 on my wishlist. This game looks beautiful from what I've seen. I should probably check it out. Thanks for the review! Mega Man 11 Is Getting Amazing Reviews + Digital Foundry System Comparison! Mega Man 11 finally hit and the reviews are coming in and so far, it looks like it's one of the best games to come out in quite some time. Cygnus Destroyer, a YouTuber known for his Innocent Until Proven Guilty series has a fun Mega Man 11 review and to put it simply... he finds it "mega magnificent." You can watch his review at the link below. Digital Foundry has also reviewed Mega Man 11 and finds it similarly as incredible but goes much more in depth and compares each version on PS4, XBox, Switch and PC and all the various versions to the frame rate level. It's the quality you'd expect from Digital Foundry and I appreciate... Read All Mega Man 11 finally hit and the reviews are coming in and so far, it looks like it's one of the best games to come out in quite some time. Cygnus Destroyer, a YouTuber known for his Innocent Until Proven Guilty series has a fun Mega Man 11 review and to put it simply... he finds it "mega magnificent." You can watch his review at the link below. Digital Foundry has also reviewed Mega Man 11 and finds it similarly as incredible but goes much more in depth and compares each version on PS4, XBox, Switch and PC and all the various versions to the frame rate level. It's the quality you'd expect from Digital Foundry and I appreciate how they take a peek back at the franchise history. Mega Man 11 Is Out Today! Today Mega Man 11 blasts it's way to PC, PS4, XBox One and Nintendo Switch and so far it's getting pretty good reviews. Right now it's sitting on Steam with 91% of people rating it positively and a 79 on Metacritic. But don't take anyones word for it as you can play a demo on Switch, PS4 & XBox One. Bummer there is no PC demo but that seems pretty standard these days. 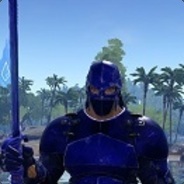 Curious what people think of the new game and how you are all playing it? "The legendary hero returns! 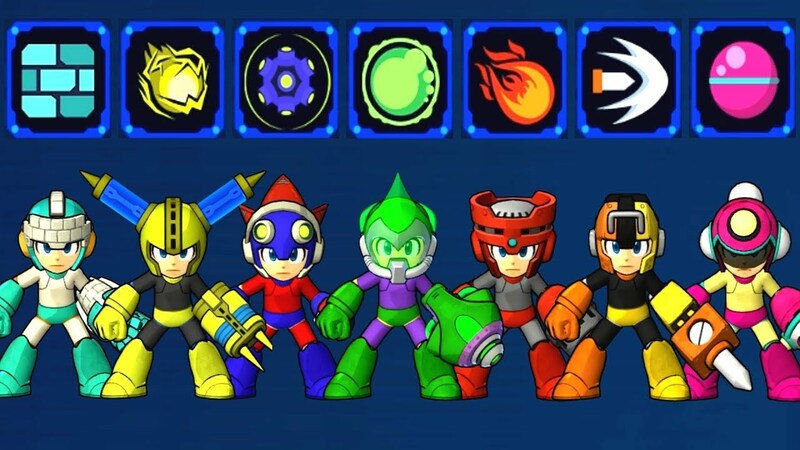 Play as Mega Man and face off against a gallery of fierce Robot Master bosses. Defeat the likes of Torch Man, Tundra Man, and the rest to steal their weapons and defeat the evil Dr. Wily. Harness the... Read All Today Mega Man 11 blasts it's way to PC, PS4, XBox One and Nintendo Switch and so far it's getting pretty good reviews. Right now it's sitting on Steam with 91% of people rating it positively and a 79 on Metacritic. But don't take anyones word for it as you can play a demo on Switch, PS4 & XBox One. Bummer there is no PC demo but that seems pretty standard these days. "The legendary hero returns! Play as Mega Man and face off against a gallery of fierce Robot Master bosses. Defeat the likes of Torch Man, Tundra Man, and the rest to steal their weapons and defeat the evil Dr. Wily. Harness the innovative new Double Gear system to slow the flow of time and overpower your Mega Buster and boss weapons. Revel in the stunning new visual style, which combines hand-drawn environments with 3D characters. Continue the fun with the extra challenging Superhero difficulty and a variety of challenge modes. Experience the evolution of the Blue Bomber’s side-scrolling supremacy. " Download The Mega Man 11 Demo Now! "If you’re eager to get your hands on Mega Man 11, you won’t have to wait much longer; a downloadable demo is available starting today, September 6th, for Nintendo Switch! The PlayStation 4 and Xbox One demos will also be available starting tomorrow, September 7th. Explore Block Man’s stage with Rush by your side, and check out three different difficulties that are sure to appeal to everyone from 8-bit veterans to brand new players. Read on for more info about the Mega Man 11 Demo, including a special challenge for all demo players. Plus, catch up on the newest Robot Master for Mega Man 11: Bounce Man!" This seemed like awesome news and to my Switch owning friends I'm... Read All "If you’re eager to get your hands on Mega Man 11, you won’t have to wait much longer; a downloadable demo is available starting today, September 6th, for Nintendo Switch! The PlayStation 4 and Xbox One demos will also be available starting tomorrow, September 7th. Explore Block Man’s stage with Rush by your side, and check out three different difficulties that are sure to appeal to everyone from 8-bit veterans to brand new players. Read on for more info about the Mega Man 11 Demo, including a special challenge for all demo players. Plus, catch up on the newest Robot Master for Mega Man 11: Bounce Man!" This seemed like awesome news and to my Switch owning friends I'm curious what you think of it? How's the first level play? Is Mega Man 11 a game you're gonna pick up at launch now? Mega Man 11 Is "Blue Bombing" It's Way To Launch October 2nd! I'm not gonna lie, I prefer the old school pixel art of the classic Mega Man games. With that, they do need to bring Mega Man to a more modern audience so i'm trying to give the new art style a chance. Mega Man 11 looks to bring the classic 2D gameplay to modern systems with a more anime style that brings back a ton of classic 2D characterization. I don't love it but the style is growing on me and I bet after playing it a bit I might like it quite a bit. It was also announced today with the trailer featured above that Mega Man 11 is coming to consoles and PC October 2nd. For anyone planning on getting Mega Man 11 at launch or beyond what system do you think you will... Read All I'm not gonna lie, I prefer the old school pixel art of the classic Mega Man games. With that, they do need to bring Mega Man to a more modern audience so i'm trying to give the new art style a chance. Mega Man 11 looks to bring the classic 2D gameplay to modern systems with a more anime style that brings back a ton of classic 2D characterization. I don't love it but the style is growing on me and I bet after playing it a bit I might like it quite a bit. It was also announced today with the trailer featured above that Mega Man 11 is coming to consoles and PC October 2nd. For anyone planning on getting Mega Man 11 at launch or beyond what system do you think you will pick it up on? "Mega Man is back! The newest entry in this iconic series blends classic, challenging 2D platforming action with a fresh new visual style. The new Double Gear system boosts Mega Man's speed and power for a new twist to the satisfying gameplay the series is known for. Coming to systems on October 2, 2018. " Whoa! Another Switch game that's also coming to PC! I had no idea it was coming out on PC. Thanks for the info! That game looks beautiful, doesn't it?! Yeah, the style is growing on me. That said, I think the original pixel style of Mega Man 2 should be in a museum. Looks like Mega Man 11 is pretty good! Mega Man 11 Coming In 2018! Today Capcom announced that Mega Man 11 is in development and will be launched in 2018! The good news is there is a new Mega Man game coming out and my hope for it will that it will live up to the Mega Man series legacy and be challenging. That said, visually it looks pretty much like Mighty No. 9 and that surprised me a bit. Personally i'd have continued the Mega Man numbered sequels with the old school pixel art graphics and then continued the Mega Man X series with the Mighty No 9 art style. Capcom also noted that both Mega Man Legacy collections are coming to the Switch and that they are working on collections for the Mega Man X series. ... Read All Today Capcom announced that Mega Man 11 is in development and will be launched in 2018! The good news is there is a new Mega Man game coming out and my hope for it will that it will live up to the Mega Man series legacy and be challenging. That said, visually it looks pretty much like Mighty No. 9 and that surprised me a bit. Personally i'd have continued the Mega Man numbered sequels with the old school pixel art graphics and then continued the Mega Man X series with the Mighty No 9 art style. I was surprised by the art style too, but luckily this seems to preserve the controls and physics. At least it seems to. Hard to judge without playing it. This Mega Man goes to 11! It was the creator of Mega Man trying to do Mega Man but not be Mega Man and now Mega Man is trying to do Mighty No. 9. And it goes to 11.